I may just buy new boxes and deal with the others later. That may sound confusing but it makes perfect sense to me. 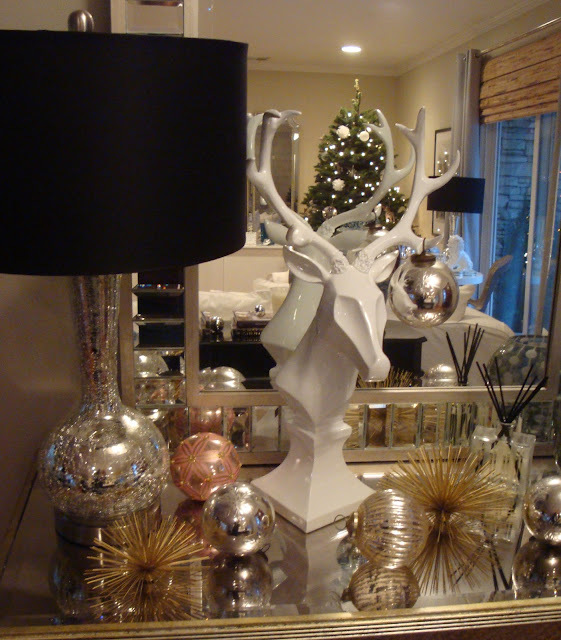 I didn't mean for it to multiply- there are just so many things I love about decor and decorating. thank you for the inspiration in right minded thinking. Your packages are beautiful and so is the message...have a wonderful Christmas. Merry Christmas Sherri! As my guru I try to take what you say to heart.. I too did less around the house and less presents. (spent money at home goods on Meghan in late Nov. And figured that's what she wanted and needed and didn't add like I usually dO) No cards either, first time in 30 years...feel guilty but this will past.. To you and the family have a wonderful Xmas with that little one in your home! Lovely post and lovely holiday house. Merry Christmas to you and your family. You have managed to capture the true essence of this special celebration.